Note: The process will take approximately 10 minutes. Please prepare a copy of your NRIC & Bank Statement before starting this process. You can use any recent month's bank statement as long as it shows it belongs to you. 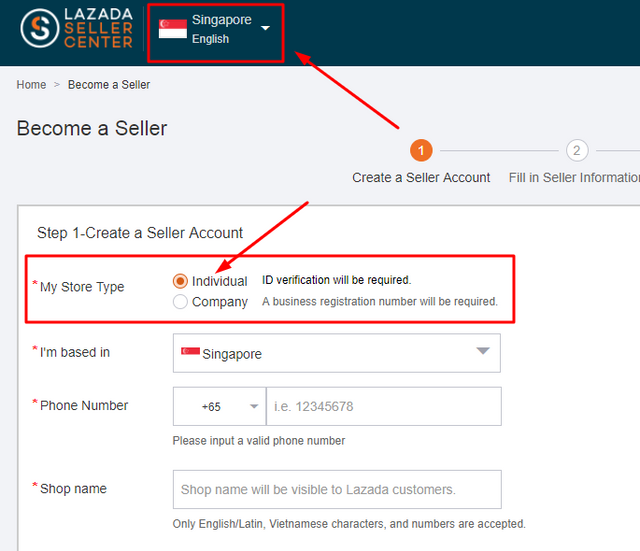 (2) Click on "Sell on Lazada"
3) Click on the orange button "BECOME A SELLER NOW"
(5) On Step 2, fill in your particulars. For company address, use your home & warehouse information. Please use your home address & telephone number. 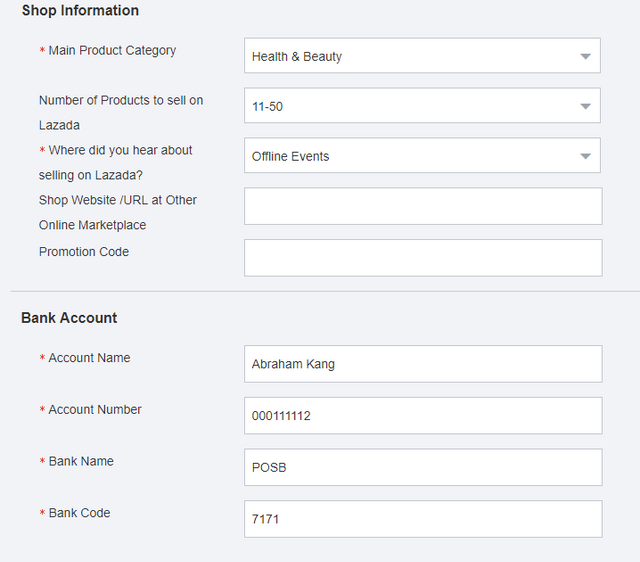 (6) For Shop Information, select the category that you are most interested to sell (by default, we use health & beauty as many smaller items fall into this category). Fill in the other fields (see image below). Also fill in your bank account information. (7) You will need to upload a copy of your bank statement & IC (similar to Qoo10) to complete the registration. Copyright © 2019 Conversion Hub. All Rights Reserved.